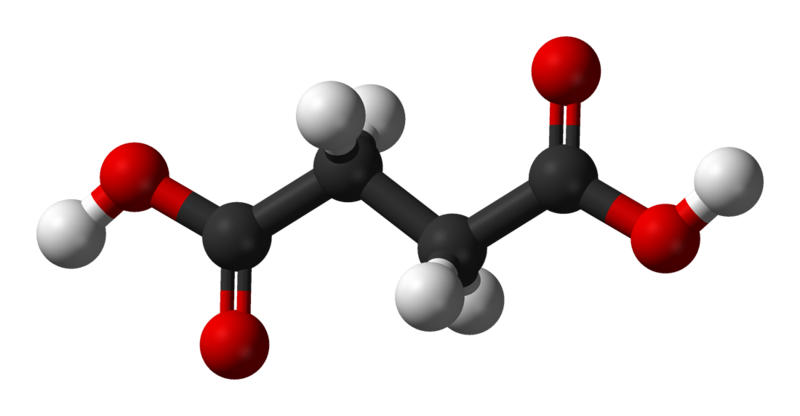 Succinate is the ionised form of succinic acid and is involved in the Krebs cycle. The structural formula of succinate is HOOC-CH2-CH2-COO-. Succinate is produced in the Krebs cycle by the enzyme succinate thiokinase, releasing a molecule of GTP. Succinate is then converted into fumarate by succinate dehydrogenase, producing a molecule of FADH2.